2 Using cupcake liners, line two mini muffin pans with cupcake liners and set aside. 3 In a stand-up mixer or using a hand mixer, mix dry cake mix, egg whites, water, yogurt, vanilla and baking powder until well mixed. Mix for about 2-3 minutes. 4 Using a spoon, evenly fill cupcake liners with cake batter. 5 Bake for 12-15 minutes or until toothpick inserted in the center of cupcake comes out clean. 1 Beat softened cream cheese and powdered sugar together on high until icing starts to become thick, add in vanilla and continue beating on high until frosting is creamy. 2 After cupcakes have cooled, spread the cream cheese frosting mixture over each cupcake. 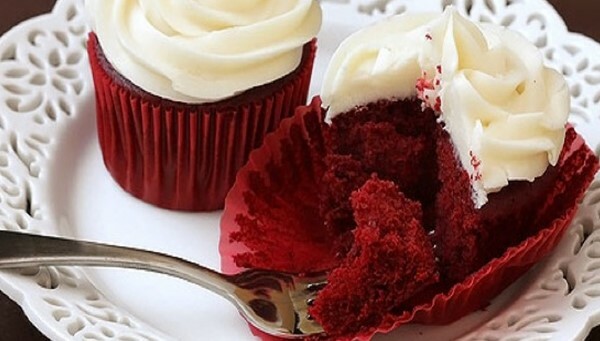 Refrigerate any leftover icing and store any leftover cupcakes in refrigerator.